Anti Social Media is a new band whose four young members have an individual story playing music behind them. 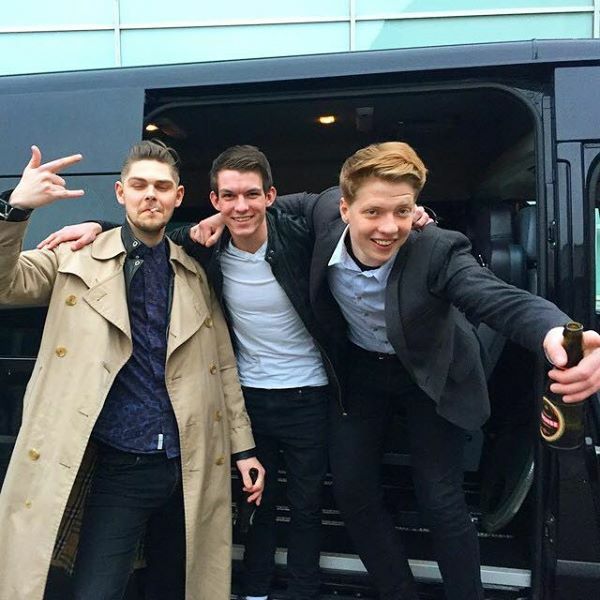 Philip Thornhill, a 19-year young man from Fredericia (has English father, was born in Dubai and soon is moving to Copenhagen) is a vocalist; Nikolaj Tøth Andersen, also 19, comes from Køge and plays the guitar. 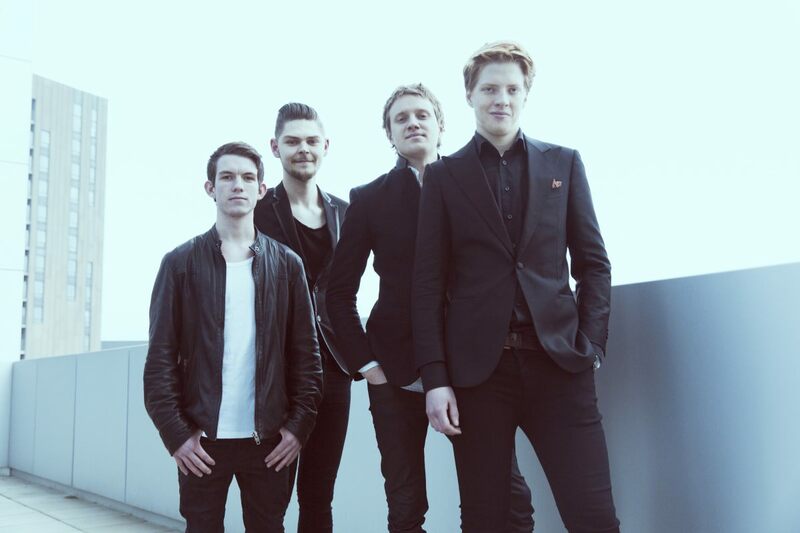 David Rønne Vang, 25, lives in Nørrebro in Copenhagen and he plays the bass; and Emil Vissing Christiensen, also from Copenhagen, is 24 years old and plays drums. Philip and Nikolaj were students till last summer. David is working on his bachelor's degree at the Rytmisk Musikkonservatorium and Emil, in his own words, has passed 50% of his degree. 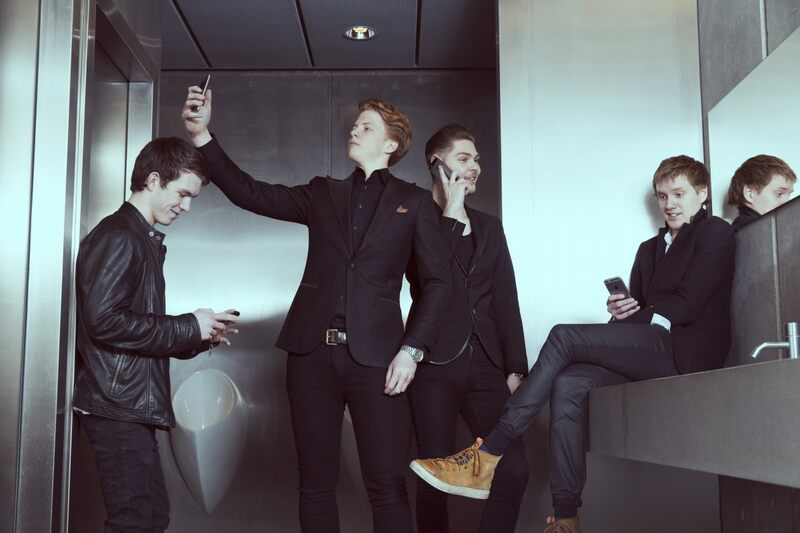 All the boys in Anti Social Media are single - except Emil, who has a girlfriend. "In early December, we sat down to find a name for the group, and we talked a little bit about that it might be fun to call ourselves something related to the social media. But we all sat together, each one with mobile in hand, staring at it instead of really taking part in the discussion. So we agreed that we actually were very antisocial and boring. And that got David to come up with the brilliant suggestion that we should call ourselves Anti Social Media"
The boys have all played music at random the last few years and Danish national final is the largest stage they have tried. 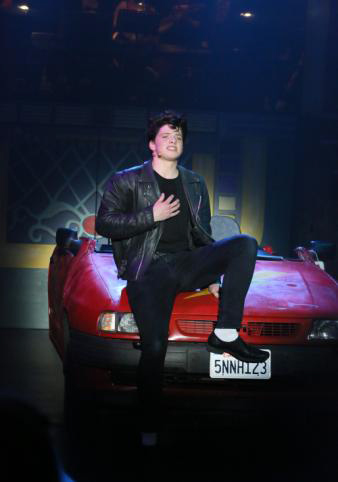 Philip Ørting Russell Thornhill has been playing in musicals organized by Middelfart school since 2010 and starred in such roles as Kenny in "Vi Maler Byen Rød" in 2012, Danny in "Grease" in 2013 and Chad in "All Shook Up" in 2014. In March 2015 he is set to play in "The Blues Brothers - On A Mission From God" as Jake Blues. Check some of his videos here. David Vang currently also plays in bands of Amanda Wium and Mathias Heise. Check more of him here. Emil Vissing is part of "Reptile Youth" and "Mr. Fish", performed at Roskilde Festival, Smuk Fest, Zulu Awards. However, they have very experienced backing in the songwriting department. 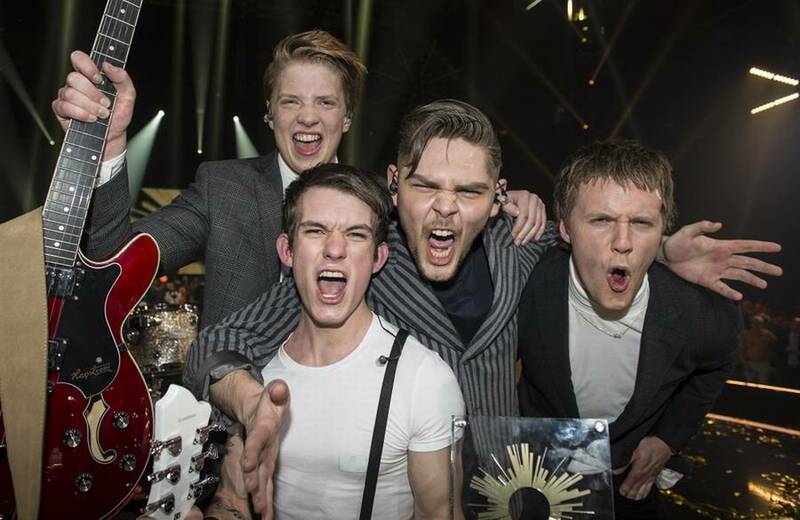 Their Beatles-inspired entry "The way you are" has been written by a team of DMGP veterans: Remee and Lars "Chief 1" Pedersen, who were also behind Danish Eurovision 2012 entry. The composers first got in touch with lead singer Philip, and then it was decided to create a whole new band for the performance. The song also went through some changes and was adjusted from straight pop sound to brit-rock vibe. It all started 10 years ago, where Remee and Chief1 worked together to make some tracks for Bryan Rice. "Remee and I had a chorus and a small fragment of melody, and suddenly the song was born. But for 10 years, we simply could not find the right person to sing the song. It can sometimes take a very long time to find the right one, and sometimes you have to put the song on the shelf", says Chief1. After 10 years, the music industry has changed songwriting duo decided to try looking for the perfect performer once again. "I started to search for a singer on the social media, I love to find people there, same also happened with Soluna Samay. Then I got a lot of interest, so I asked people to record the song and send video of own performance, since at Eurovision's 50% it's visual performance that matters. After seeing and hearing the different people, I was just about to give up, because no one has nailed it. But then I wrote to DR and got 24 hours extra to find a singer. Suddenly to me wrote a friend and suggested that I need to check out Philip, and within 5 seconds, I got a feeling that here is something really good. I do not know exactly what it was, but when you have been in talent scouting for many years, then you just believe in your feelings". Chief1 and Remee asked Philip record the song, and when they heard it, they know immediately that it must be him. "We actually had to put the song six tones up for him, and it's insanely much, but it gave the song a completely new stunning look. So now we lacked just the band. We looked through some recommendations along with Philip, and then we found the other three members. When they met for the first time, it was just one of the situations in the universe where it's just a match made in heaven. Right from the start it was chemistry there. I am very proud of the boys now. It is so wild that one's first debut concert is in front of nearly 1.5 million people, which therefore requires some balls". It was announced after the contest that band has signed contract with Remeé and Chief1's label RE:A:CH and EP release is planned shortly. "It is a cheerful song with a bold energy that makes you happy. It can be best described as a 1960s-inspired summer-pop song. The main purpose is to make people happy, and we hope that we'll succeed in that." Last year's entrant Basim will be announcing results of Danish voting during Eurovision final. 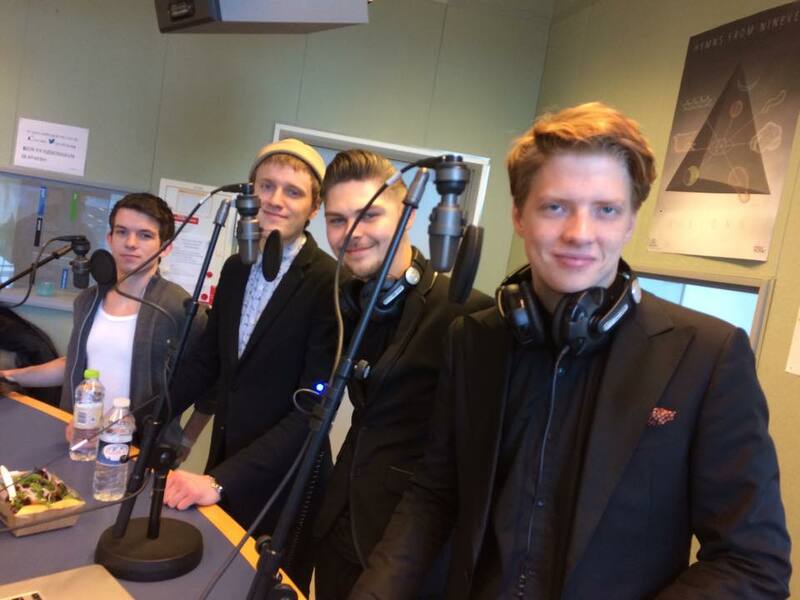 "We are very excited about participating in Eurovision, and we feel very happy and honored about representing Denmark"
Band members tell there is no person being really a "leader" in the band, but with Philip being the lead singer, he automatically takes on a part as being the band leader. "The thing that unites us as a band is our love and passion for music". At the contest they will be performing song "The Way You Are", which they describe as "a happy song, with a cheerful message, and lots of good energy!". Performers say they have easily accepted proposal from songwriters Remeé and Chief1 to become part of the project. "We all liked the song, otherwise we wouldn’t have gone into this project, and we were all very happy and honored to be asked to perform at the Danish Melodi Grandprix". 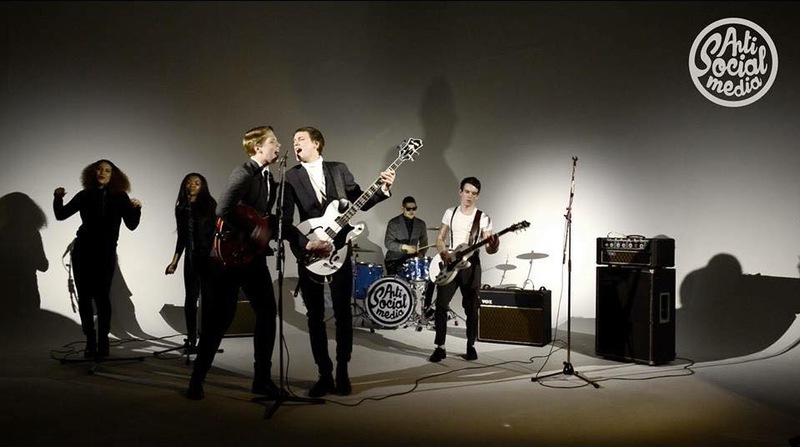 There were little changes brought in the song compared to the national final version and the band has also produced a remix of the song - "mostly so that the clubs have something to play, to get the people dancing to the happy tunes". Band reveals there will be slight changes in the staging of the song, but they are meant to remain a surprise. "Our two wonderful backing vocalists are Nellie Ettison and Johanna Beijbom. Johanna wasn’t on the stage with us in the Danish finals, but we have had to make some changes for the Eurovision show, and therefore we brought in the fantastic Johanna! :D". Johanna Beijbom is experienced Eurovision backing singer, featured in performances of Malta in 2007, "Euphoria" in 2012 and Georgia 2013. "We definitely think that pre-contest promotion can help getting success, but we also believe that having a good song is the most important thing. We have been really busy recording our EP which is released on May 11th, so we haven’t had time to be abroad before the Eurovision. We are rehearsing in Denmark at the moment, where we are focusing on getting our stage performance ready, as well as getting mentally ready for the trip! We are very excited!! And we are playing some concerts in Vienna when we get there!" The first single from the upcoming EP is called "More Than A Friend" and will be released on May 4th, while the EP itself, containing 6 tracks, is released on May 11th. 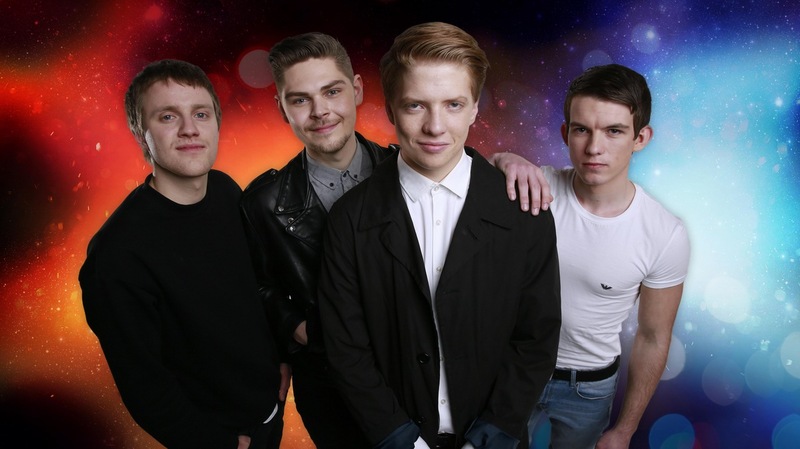 It's genre band describes as "a pop with a kind of 60s feeling". Due to busy schedule Philip even had to resign from "The Blues Brothers" musical, but band members all play music outside of Anti Social Media, and can are to be spotted all over the Danish music scene. 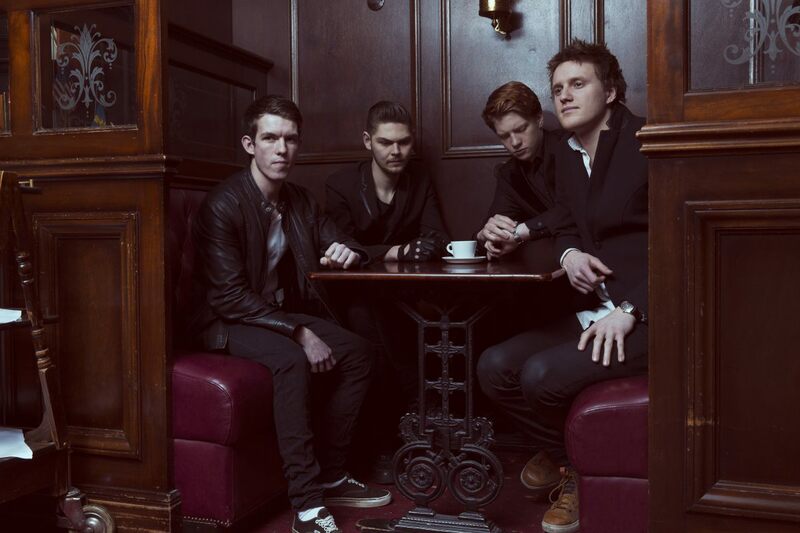 Despite the band title, musicians are very active in the Social media and can be found in Facebook, and Instagram: Philip, David, Emil and Nikolaj. "Greetings from Anti Social Media!! 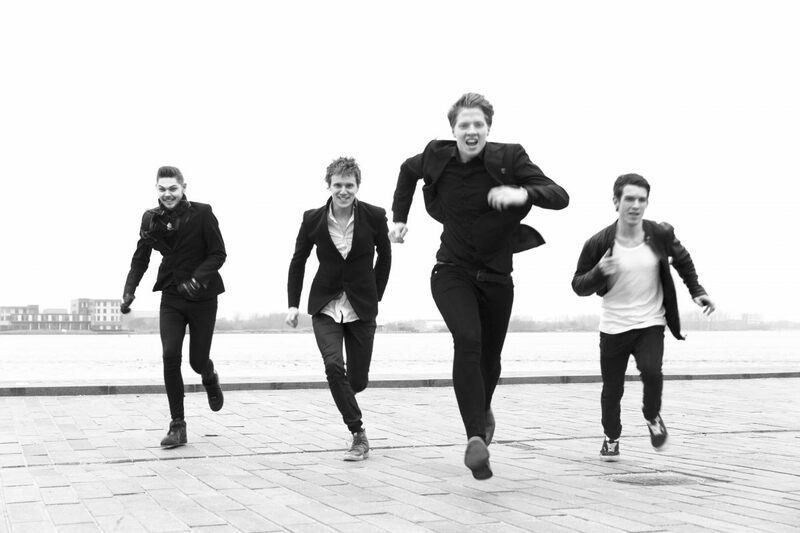 We hope that you enjoy our music and we hope that you vote for us in the Eurovision BYEEE!!! :D"
For Anti Social Media har dagen budt på singleudgivelse, de sidste prøver på dansk grund inden Eurovision Song Contest – og en glamourøs fest på den østrigske ambassade i København! Lead singer of "Anti Social Media" Philip Thornhill has ended today in Bispebjerg Hospital, Skadestuen. "I'm a dolt", self-critically stated the artist on his page on social network. "I have cut my hand up to my thumb bone... Tried to save a glass lamp from hitting the floor – it was not worth it...". 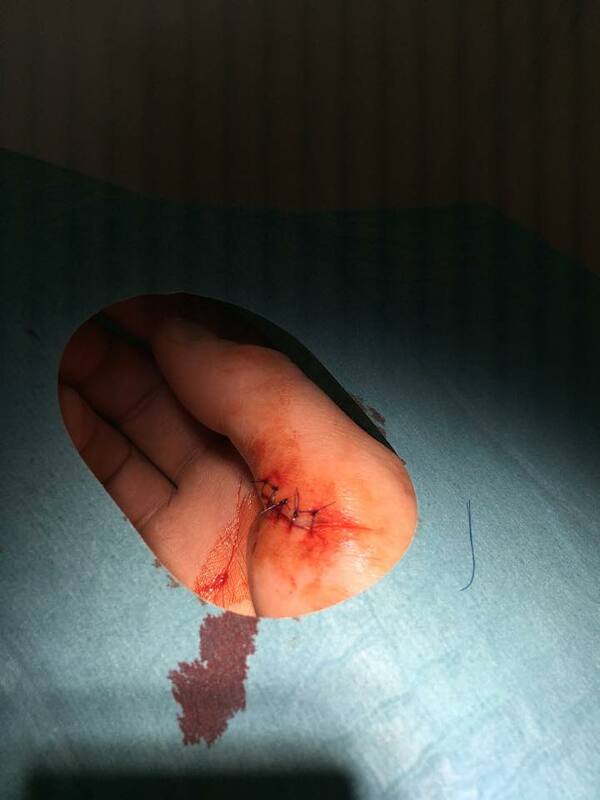 5 stitches were required on the hand. Other band members, DR representatives and fans have immediately wished singer speedy recovery, saying that "the nation's honour rests on your shoulders!". "Don't worry - Soon I will be ready again! ", replied Philip. In an exclusive interview to Ekstrabladet drummer Emil Vissing and singer Philip Thornhill admitted they haven't been using much time yet on the Eurovision preparations since they won national selection show. "Currently we work hard with the album in the studio and are doing virtually no interviews", say the young boys who work closely with their producers Remee and Chief 1. "It's great to work with them. They have a huge good ear for what will be a hit. We can work for a long time on a track, and then Remee comes right in and says "If I just do this or change here, it will work". And he is always right". At the contest first task in front of the band is to qualify to the finals. "In the semifinals are we up against several Eastern European countries who have a tradition to support each other. But we do not worry much about it now as we are only able to perform as well as we already did". The complete interview (in Danish) can be seen here. On Friday the band has embarked on it's Danish tour giving performances in Nyborg and Aalborg. "Anti Social Media" have taken part in Q & A session on DR Grand Prix Facebook page, which you can check here (in Danish). During the session boys have revealed that they look forward enhancing their stage performance and are considering inviting Conchita Wurst to play keys in their presentation, as well as adding to it lots of pyros, and that alternative name of the band they were looking forward to was "ASDSACX-FJKVNADFS_EAROJFwjkrbsafdv". The band has also appeared in "Rebbes Vikarservice" on DR P4 Radio and made special appearance in "Aftenshowet" on DR1, where they presented acoustic version of their song. Post by Aftenshowet - DR1. 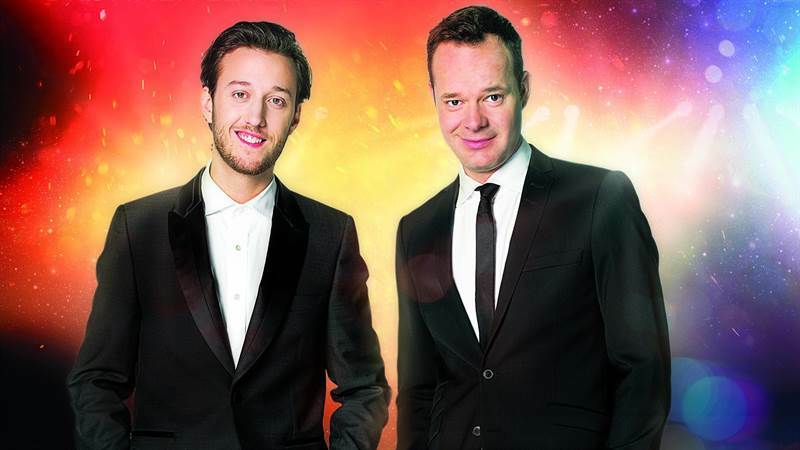 45th edition of "Dansk Melodi Grand Prix" - Danish Eurovision Song Contest preselection, will be held on 7 February 2015 at the Gigantium in Aalborg, hosted by Esben Bjerre Hansen and Jacob Riising. It will be 5th DMGP final in Aalborg, and show returns to Gigantum after 2012. 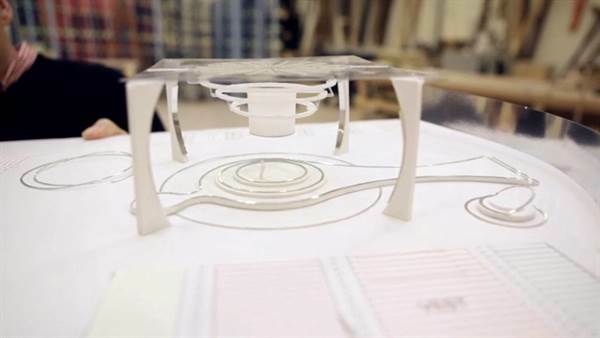 Round stage, of 17 meters in diameter, has been designed by Claus Zier. As usual, the show will consist of 9-10 songs and a winning entry will be chosen by combination of SMS and jury voting. On 4 July 2014 head of DR entertainment Jan Lagermand Lundme has announced a challenge to "reset the clock and launch Dansk Melodi Grand Prix version 2.0", an overhaul that will stress on quality rather than quantity. Lundme appealed to interested songwriters and artists to submit more authentic entries and not typical Eurovision songs. He has mentioned ESC 2014 entries "Calm After The Storm" by The Common Linnets and "Rise Like A Phoenix" by Conchita Wurst as the songs that had a story to tell, that could touch the viewers. On 27 October 2014 DR has released the new graphic update for the competition, that included new logo and slogan. The new logo, replacing the three star logo used since 2009, was described by Lundme as "a round organism from which emerge organic sound waves". 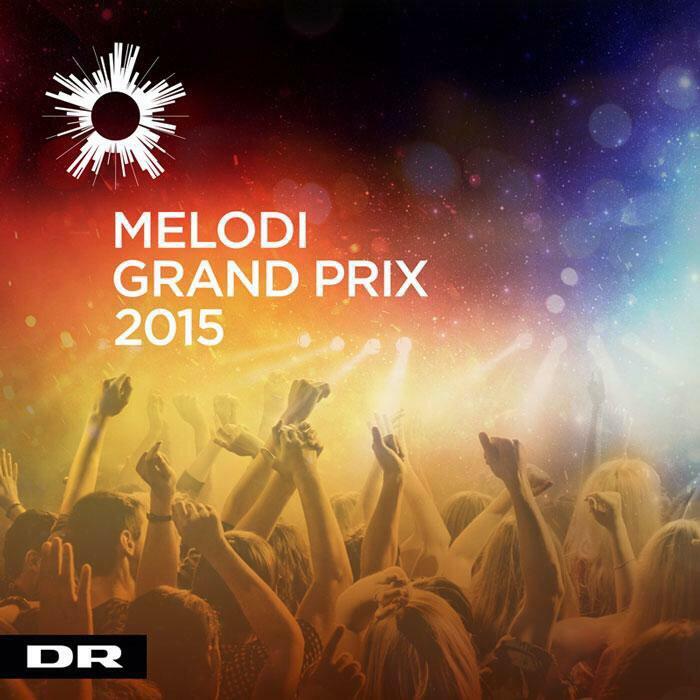 Dansk Melodi Grand Prix also got a new slogan: "Drømmen lever" (The Dream Lives). Submission period was open between 4 July 2014 and 8 September 2014. Foreign songwriters were also allowed to send their entries. A total of 687 songs were received. A selection committee has selected 6 songs from the entries submitted to the broadcaster, while 3-4 participants were invited to compete directly based on editorial considerations. 9 names of of the participating acts were revealed by Danish celebrity magazine "Her og nu" 5 days before planned presentation. Complete details of the line-up were leaked on January 24, 2 days earlier than planned presentation, due to early sales of the official DMGP CD by local retailer Kvickly and Sony Music own webshop. 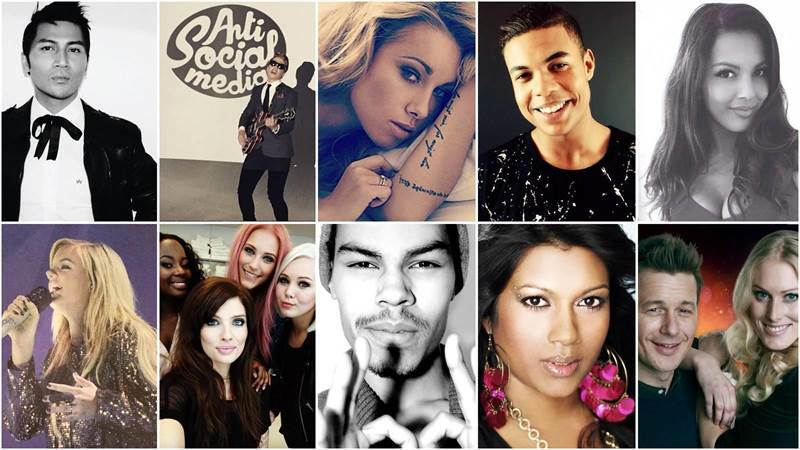 Marcel and Andy Roda were backing vocalists of Basim in 2014 Eurovision, Anne Gadegaard is Danish representative in Junior Eurovision 2003. Sara Sukurani, Marcel & Soulman Group and World of Girls were directly invited wildcards for the competition. Preview videos for competing entries were published on 26 January. Tickets for the show and dress-rehearsal are available on drbillet.dk. In 2015, the vote of the Danish audience will be counted in a single pool, and there will be 5 juries of 3 experts each, one in each of the country's regions. Juries will be voting on usual 1-12 scheme, in total there will be 290 jury points to distribute; the same number has the televoting audience. The last time that the Dansk Melodi Grand Prix had counted a regional distribution of the votes was in 2008. In previous occasions, the vote of the audience was distributed regionally. Telephone lines are open from the very first performance until five minutes after the juries have presented their results, which will happen immediately after the final performance of the night. There will be only one voting round this year. Anti Social Media - новая группа, в которой каждый из участников имеет собственную музыкальную историю. Солистом группы является Филип Торнхилл, 19 лет, родился в Дубаи, отец его англичанин, живет в Фредерисии и планирует скоро переехать в Копенгаген. Также 19-летний Николай Тёт Андерсен из Кёге играет на гитаре. 25-летний басист Давид Рённе Ванг живет в Нёрребро в Копенгагене и является самым старшим участником группы. 24-летний барабанщик Эмиль Виссинг Кристиенсен также живет в Копенгагене. До прошлого лета Филип и Николай учились в школе. Давид сейчас занимается в музыкальной консерватории, а Эмиль, по его словам уже наполовину выпускник. Из всех молодых людей входящих в состав группы, только у Эмиля есть постоянная подруга. "В прошлом декабре, мы сели вместе, чтобы придумать название для группы, и мы подумали, что было бы неплохо назвать ее современно, как-то связано с социальными сетям. Но, когда мы сидели вместе, у каждого из нас был в руке мобильник, и мы все уткнулись в них, вместо того, чтобы реально принимать участие в обсуждении. Потому, мы пришли к выводу, что на самом деле мы как раз все асоциальные и скучные. И тогда Давиду пришла прекрасная идея назвать себя Anti Social Media"
Все ребята так или иначе занимались музыкой в последние два года, но участие в национальном отборе на Евровидение стало самым большим выступлением за их карьеру. Филипп Ёртинг Рассел Торнхилл с 2010 года играет в мюзиклах школы Middelfart, в том числе в таких ролях, как Кенни в "Vi Maler Byen Rød" в 2012, Данни в "Grease" в 2013 и Чад в "All Shook Up" в 2014. В первой половине марта 2015 он будет исполнять роль Джейка Блюза в "The Blues Brothers - On A Mission From God". Ряд его видео можно увидеть здесь. Давид Ванг в настоящее время играет в группах Аманды Виум и Матиаса Хейсе. Дополнительная информация о нем - здесь. Эмиль Виссинг входит в проекты "Reptile Youth" и "Mr. Fish", выступал на Roskilde Festival, Smuk Fest, Zulu Awards. Однако, со стороны авторов песен у них была весьма опытная поддержка. Песня "The way you are" в стилистике The Beatles была написана ветеранами DMGP Реми и Ларсом "Chief 1" Педерсеном, которые также являлись авторами песни Дании на Евровидении 2012 в исполнении Солуны Самай. Композиторы сначала связались с солистом Филипом, и потом было решено собрать специальную новую группу для исполнения песни. Песню тоже пришлось подогнать, и она изменила свое звучание с поп-музыки на брит-рок. Все началось 10 лет назад, когда Реми и Chief 1 работали вместе над треками для Брайана Райса. "Реми и я написали припев и небольшой фрагмент мелодии, и так родилась песня. Но в течение 10 лет мы не могли найти для нее подходящего исполнителя. Иногда поиски исполнителя занимают очень много времени, и приходится пока отложить песню на полку", говорит Chief1. Спустя 10 лет, музыкальная индустрия изменилась и авторы решили еще раз попытаться найти своей песне идеального исполнителя. "Я начали искать его в социальных сетях, мне очень нравится находить там людей, примерно такая же история была и с Солуной Самай. Многие заинтересовались, и я просил их записать свое исполнение песни и выслать мне видео, поскольку на Евровидении 50% роли играет визуальное впечатление. После того, как я услышал и увидел разных кандидатов, я уже готов был сдаться, потому что никто с задачей идеально не справился. Но потом я написал в DR и получил еще дополнительные 24 часа на поиски. И вдруг неожиданно мне написал друг, который посоветовал послушать Филипа, и уже через 5 секунд у меня появилось чувство, что я нашел что-то хорошее. Я не знаю, как это описать, но когда ты столько лет работаешь скаутом новых талантов, то начинаешь верить в предчувствия". Chief1 и Реми попросили Филипа записать песню, и, когда они услышали ее, они немедленно поняли, что нашли искомое. "Нам пришлось повысить песню для него на шесть тонов, что в общем является исключительным случаем, но придало ей совершенно новый вид. Теперь нам не хватало лишь группы. Мы вместе с Филипом изучили несколько рекомендаций, и так нашли трех других участников. Когда они впервые встретились друг с другом, сразу было видно, что это один из редких во вселенной случаев, когда все сошлось просто идеально. С самого начала стала заметная искра между ними. Сейчас я очень горжусь ребятами. Это очень тяжело, давать свое первое дебютное выступление на глазах у почти 1.5 млн людей, для этого нужно иметь большую отвагу". После конкурса было объявлено о том, что группа подписала контракт с лейблом Реми и Chief1 RE:A:CH, и в ближайшее время планируется релиз EP. "Это веселая песня с ярко-выраженной энергией, которая делает всех счастливыми. Ее можно описать как летнюю поп-песню, вдохновленную музыкой 1960х. Ее главная цель - сделать людей счастливее, и, надеемся, что нам это удастся." Прошлогодний участник конкурса Басим объявит результаты голосования Дании во время финала конкурса. "Мы очень рады принимать участие в Евровидении, и это большая честь для нас - представлять Данию"
Участники группы утверждают, что в их коллективе них нет четкого "лидера". Филипп является солистом группы и он автоматически принимает на себя роль лидера группы. "Любовь и страсть к музыке объединяет нас как группу". На конкурсе они буду исполнять песню, "The Way You Are", которую они описывают как "яркую песню с веселым посылом и множеством положительной энергии!" Участники рассказали, что они с легкостью приняли предложение авторов песни Remeé and Chief1 стать частью проекта. "Нам очень понравилась песня, иначе мы не стали бы участвовать в нем. Мы счастливы, и это большая честь для нас принять предложение участвовать в датском Melodi Grandprix". Лишь небольшие изменения были сделаны в песне по сравнению с версией национального отбора. Группа также уже создала ремикс на песню - "чтобы он звучал в клубах и заводил публику веселыми мотивами". Группа раскрывает, что постановка песни была немного изменена, но это останется сюрпризом для зрителей. «Нелли Эттисон и Йоанна Бейбом – наши бэк-вокалистки. Йоанна не выступала с нами на национальном отборе в Дании, но мы же должны были что-то изменить для Евровидения и поэтому, чудесная Йоанна присоединилась к нашей команде! :D". Йоанна - опытная бэк-вокалистка, принимавшая участие в выступлениях Мальты на Евровидении 2007, "Euphoria" в 2012 и Грузии в 2013. "Конечно, мы считаем, что такая реклама перед самим конкурсом определенно может помочь, но мы также уверены, что залог всего - хорошая песня. Мы были очень заняты записью EP, который выйдет 11 мая. Именно поэтому у нас не было времени путешествовать перед Евровидением. В данный момент, мы репетируем в Дании, где ставим акцент на подготовке выступления. Одновременно с этим мы морально готовимся к поездке! Мы очень взволнованы! А когда мы приедем в Вену, там у нас уже запланированы несколько концертов!" "More Than A Friend" ("Больше чем друг") – первый сингл из альбома, релиз которого выйдет 4 мая, в то время как сам EP альбом, включающий в себя 6 композиций, выйдет 11 мая. Группа описывает его жанр как "поп с нотками 60-х". В связи с загруженным расписанием группы, Филиппу пришлось отказаться от выспупления в мюзикле "The Blues Brothers". Участники группы играют и в других коллективах, поэтому с их творчеством можно нередко столкнуться на датской сцене. Несмотря на название группы, её участники очень активны в социальных сетях: Facebook, и Instagram: Филип, Давид, Эмиль и Николай. "Всем привет от Anti Social Media!! Мы надеемся, что вам понравится наша музыка, и мы ждем поддержки от вас на Евровидении ПОКААА!!! :D"
Солист группы "Anti Social Media" Филип Торнхилл сегодня попал в госпиталь Биспебьерг в столичном регионе Дании. "Я - идиот", самокритично написал артист на своей странице в социальной сети. "Я разрезал свою руку прямо до кости... Пытался спасти стеклянную лампу от падения на пол - оно того не стоило...". На руку пришлось наложить 5 швов. Другие участники группы, представители телеканала DR и поклонники исполнителя немедленно пожелали ему скорейшего выздоровления, отметив, что "честь нации лежит сейчас на твоих плечах!". "Не волнуйтесь - скоро я снова буду в полной готовности! ", ответил Филип. В эксклюзивном интервью газете Ekstrabladet барабанщик Эмиль Виссинг и солист Филип Торнхилл признали, что со времени победы на национальном отборе почти не уделяли внимания непосредственно подготовке к конкурсу. "Сейчас мы много работаем в студии над предстоящим альбомом, и практически не даем интервью", говорят ребята, тесно сотрудничающие с продюсерами Remee и Chief 1. "С ними работать просто замечательно. У них очень хороший слух на то, что станет хитом. Мы можем очень долгое время работать над треком, а потом заходит Реми и говорит "Если бы я вот тут поменял лишь один момент, то все бы сработало". И он всегда прав". На конкурсе первой задачей, стоящей перед группой, является выход в финал. "В полуфинале против нас выступают несколько восточно-европейских стран, которые по традиции, всегда поддерживают друг друга. Но мы пока особенно не заморачиваемся этим, ведь все равно, мы можем лишь выступить так же хорошо, как уже выступали". Полное интервью (на датском языке) можно увидеть здесь. В пятницу группа отправилась в тур по Дании, открыв его выступлениями в Нюборге и Ольборге. "Anti Social Media" приняли участие в онлайн-конференции, прошедшей на Facebook странице DR Grand Prix, и с ответами ребят на вопросы поклонников шоу вы можете познакомиться здесь (на датском языке). Во время конференции они рассказали о том, что работают над улучшением сценической постановки номера, для чего хотели бы обратиться с приглашением к Кончите Вурст исполнить роль клавишницы в нем, а также добавить в него множество пиротехники. Помимо того, группа рассказала, что одним из вариантов названия, которое рассматривалось для нового коллектива было "ASDSACX-FJKVNADFS_EAROJFwjkrbsafdv". Группа также приняла участие в радио программе "Rebbes Vikarservice" на радио DR P4 и в "Aftenshowet" на DR1, где исполнила акустическую версию своей конкурсной песни. 45й выпуск шоу "Dansk Melodi Grand Prix" - датского национального отбора к Евровидению, состоится в этом году 7го февраля в зале Gigantum в Ольборге, его ведущими станут Эсбен Бьерре Хансен и Якоб Риисинг. Это будет 5й финал шоу, проводимый в Ольборге, и оно вернется в Gigantum впервые после 2012 года. Автором проекта круглой сцены, 17 метров диаметром, стал Клаус Зилер. Как обычно, шоу будет включать в себя 9-10 участвующих песен, и победитель будет выбран суммированием результатов телеголосования и голосования жюри. В июле 2014 года телекомпания DR объявила о своих планах внесения изменений в формат отбора, и запуска т.н. Dansk Melodi Grand Prix версии 2.0, которая будет отдавать предпочтение качеству над количеством. Директор отдела развлекательного вещания телеканала DR Ян Лагерманд Лундме заявил о том, что для конкурса будут выбраны более аутентичные и живые песни, которые могут найти связь между собой и зрителями, приведя в качестве примеров подобных песен с историей композиции "Rise Like A Phoenix" Кончиты Вурст и "Calm After The Storm" The Common Linnets с Евровидения 2014. Также было проведено обновление визуального дизайна конкурса, он получил новый логотип и слоган. Новый логотип, заменивший логотип с тремя звездами, использовавшийся с 2009 года, описывается как круглый организм от которого исходят звуковые волны. Слоганом конкурса 2015 года был выбран "Drømmen lever" (Мечта живет). Период приема заявок на конкурс продолжался с 4го июля по 8 сентября 2014 года. Допускалась подача песен иностранными авторами. Всего было получено 687 заявок на участие. Отборочный комитет выбрал 6 песен из числа заявок, полученных вещателем, а еще 3-4 исполнителя или автора песен были приглашены к участию в шоу организаторами напрямую. 9 имен из участвующих артистов были опубликованы журналом о звездах "Her og nu" за 5 дней до запланированной презентации. Полные детали списка участвующих песен появились в интернете на два дня раньше, 24го января, из-за того, что местный магазин Kvickly и интернет магазин лейбла Sony Music начали продажу официального диска DMGP ранее запланированного. Марсель и Энди Рода были бэк-вокалистами Басима на Евровидении 2014. Анне Гадегорд принимала участие нв Детском Евровидении 2003. Сара Сукурани, Marcel & Soulman Group и World of Girls были артистами, напрямую приглашенным организаторами. Превью-видео на участвующие песни были опубликованы 26го января. Билеты на шоу и генеральную репетицию к нему можно приобрести на drbillet.dk. В 2015 году, голосование зрителей будет подсчитываться как одно целое, однако, в каждой из 5 областей Дании будет создано свое региональное жюри, состоящее из 3х экспертов каждое. Жюри, как обычно, проголосуют по системе 1-12, итого они смогут распределить 290 баллов. Стольким же количеством баллов будут обладать и телезрители. Последний раз региональное голосование проводилось в Dansk Melodi Grand Prix в 2008 году, но во всех предыдущих случаях по регионам считалось голосование зрителей, а не жюри. Линии для телефонного голосования будут открыты с самого первого выступления и еще пять минут после оглашения результатов голосования жюри, что произойдет сразу после окончания выступлений артистов. В этом году в шоу будет только один раунд голосования. when you need Someone to guide you. I will be doing it for you. And spend it all on you. Its the Way you are..